The peculiarities of the differentiation of the thymocytes in adult and old CBA/Ca mice were studied with a help of the monoclonal antibodies to different lymphoid antigens of mice. In the thymus of old mice, the portions of the СD4-СD8-, СD44+ and СD44+Тhу-1-— cells have been shown to be increased. The percentage of the СD4+СD8+-thymocytes did not change, whereas the portion of СD25+, РNА+, СD3+, СD3+СD8+, СD4+СD8- and СD4-СD8+-cells diminished. The ratios of different subpopulations of thymocytes, characterizing different degree of their maturation are changing with age towards the prevalence of less mature cells. After prolonged (for 18 months) administration of epithalamine the portion of СD44+, СD44+Тhу-1- and СD3-8+-cells in the old thymus has been shown to be decreased, while that of СD25+, СD3+, СD3+CD8+,СD4+CD8/ and CD4-СD8+-cells increased. According to many parametres thymus of those old animals corresponds to adult mice. Epithalamine raised the titer of one of the thymic hormones - thymic serum factor, both in the blood of the old mice and in the supernatant of a 3-hour culture of the thymic stroma. Бондаренко Л.А., Анисимов В.Н. Возрастные особенности влияния эпиталамина на метаболизм серотонина в шишковидной железе у крыс // Бюл. эксперим. биологии и медицины. - 1992. -63, № 2. - С. 194-195. Бутенко Г.М. Старение иммунной системы // Пробл. старения и долголетия. - 1998. - 7, № 3. - С.100-108. Иммунобиология гормонов тимуса / Под ред.Ю.А.Гриневича, В.Ф.Чебаторева. - К.: Здоров’я,1989. - 152 с.
Иммуноцитохимия и моноклональные антитела в онкогематологии / Под общ.ред. Пинчука В.Г., Глузмана Д.Ф. – К.: Наук. думка, 1990. - 232 с.
Лабунец И.Ф. Возрастные особенности ритмических колебаний эндокринной функции тимуса у животных // Журн. АМН Украины.- 2000.- 6,№ 4.-С.783-791. Лабунец И.Ф., Бутенко Г.М. Влияние биологически активных факторов эпифиза на функциональное состояние тимуса и иммунной системы у стареющих животных // Пробл. старения и долголетия. - 1992. - 2, № 3. - С.280-285. Лабунець І.Ф., Магдич Л.В. Вплив епіталаміну на формування вікових змін циркадних взаємовідносин функції тимусa та кори наднирникових залоз у тварин. - В кн. : Мат. наук.-практ. конф (Харків, 17-19 лист. 1999 р.) // Ендокринологія. - 1999. - 4, № 2. - С.250. Лакин Г.Ф. Биометрия. - М.: Высш. школа, 1973. -344 с. 9. Слепушкин В.Д., Анисимов В.Н.,Хавинсон В.Х.и др. Эпифиз, иммунитет и рак (теоретические и клинические аспекты). - Томск: Изд-во Томс. ун-та, Томск, 1990. - 148 с. 10. Ярилин Ф.Ф. Коррекция эндогенной выработки гормонов тимуса. Обоснование нового подхода к иммунореабилитации, иммунорегуляции // Int. J.Immunorehabilitation / Междунар.журн. иммунореабилитации. - 1998. - №10. - Р.8-17. Ярилин А.А., Пинчук В.Г., Гриневич Ю.А. Структура тимуса и дифференцировка Т-лимфоцитов. - К.: Наук. думка, 1991. - 248 c.
Ярилин А.А ., Шарова Н.И., Дзуцев А.Х., Кол могорова В.В. Последствия взаимодействия лимфоидных и эпителиальных клеток тимуса in vitro// Рос. физиол.журн. им. И.М. Сеченова. -2000. - 86, № 3. - С.285-291. Bach J.F., Dardenne M., Bach M.A. Demonstration of a circulation thymic hormone in mouse and man // Transplant. Proc. - 1973. - 1, N 1. -P.99-101. Besedovsky H.O., del Rey A. Immune-neuroendocrine intereactions: facts and hypotheses //Endocrine reviews. - 1996. - 17, N 1. -P.64-102. Fabris N.,Vocchegiani E.,Provinciali M. Plasticity of neuroendocrine-thymus interaction during aging // Exp.Gerontology. - 1997. - 32, N 4/5. - P.415-429. Goya R.G. Bolognani F. Homeostasis, thymic hormones and aging //Gerontology. - 1999. - 45,N 3. - P.174-178. Hirocawa K. Immunity and aging. In: Principles and practice in geriatric mеdicine / Ed.M.S.G.Party. – Tokyo: John Willey and Sons Ltd, 1998. -P.35-47. Inaba K., Inaba M., Kinashi T. et. al. Macrophages phagocytose thymic lymphocytes with productively rearranged T cell receptor and genes // J. Exp.Med. - 1988. - 168, N 12. - P.2279-2294. 19. Liu Z., Zhao Y., Peng S. Identification of 2-[125I] iodomelatonin binding sites in the thymus of mice and its significance // Sci. Chine B. - 1995. - 38,N 12. - P.1455-1461. 20. Reiter R.J. The pineal gland and melatonin in relation to aging: a summary of the theories and of the data // Exp. Gerontology. - 1995. - 30, N 3-4. -P.199-212. Rodewald H.R. The thymus in the age of retirement // Nature. - 1998. - 396, N 6712. - P.630-631. Shimonkevitz R.P., Hussmann L.A., Bevan M.J.,Crispe J. N. Transient expression of IL-2 receptor precedes the differentiation of immature thymocytes //Ibid. - 1987. - 329. - P.157-159. Tentori L., Pardoll D.M., Zuniga J.C. et. 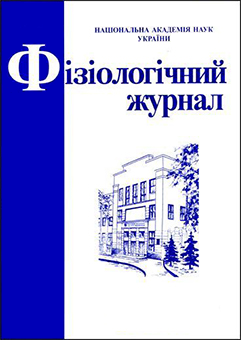 al.Proliferation and production of IL-2 and IL-4 in early fetal thymocytes by activation through Thy-1 and CD3 // Ibid.-1988. - 140. - P.1089-1094. 24 Thoman L.M. The pattern of T lymphocyte differentiation is altered during thymic involution //Mech.Ageing. Dev. - 1995. - 82, N2-3. - P.155-170. Yarilin A.A. What the thymus is needed for?Intrathymic events and their unigueness // Rus.J. Immunol. - 1998. - 3, N 1. - P.5-20. Yu Sh., Abel L., Globerson A. Thymocyte progenitors and T cell development in aging // Mech.Ageing Dev. - 1997. - 94. - P.103-111. 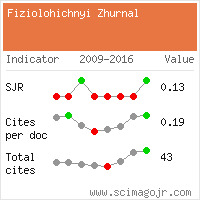 Zeira M., Gallity R. Interaction between thymocytes and thymus-derived macrophages.Surfase components participating in mutual recognition // Cell Immunol. - 1988. - 117, N2. -P.264-276.